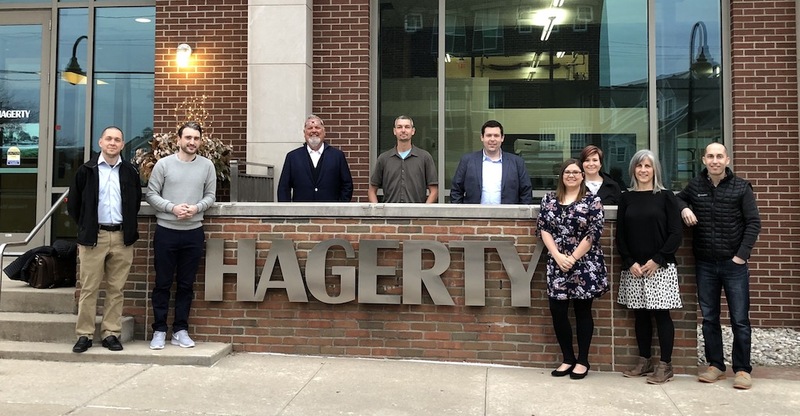 Fresh off becoming part of the Hagerty family, we've headed to cold, frozen and snowy Traverse City, Michigan to spend the week together at our new headquarters. We're meeting our peers and plotting joint efforts for 2019 and beyond. Your response over the last two weeks to our acquisition was overwhelming - we really felt the love! I had so many wonderful calls and emails with the opportunity to share our plans. I was thrilled to hear your enthusiasm match my own and understand how you'll benefit. Each piece will dive into what you have told us is important and how we plan to respond. One of the most direct benefits to you is expanding our team to better service you and your attendees. It took a decade to get to ten full-time people and our framework calls for doubling that by the end of 2020. Keep your eyes peeled for openings in a variety of roles soon. We love bringing on fellow enthusiasts to move us forward and hope you'll apply! Every year we look forward to meeting our customers face to face at the MSX show and SCCA National Convention- and this year is no exception. The MSX show is a combination of world class exhibitors, competition cars, racing legends, seminars and show floor presentations. But it's not just for SCCA members. This year's supporting organizations include NASA, ChumpCar, NCMA, WKA, World Racing League, and American Endurance Racing, not to mention a long list of exhibitors. And since we want to see as many customers as possible, we're giving you a FREE expo-only pass code to come visit us in the booth. Enter MSXINVITE15 when you register online. The code is also good for 25% off a MSX Full Conference ticket. We're hitting the road again! 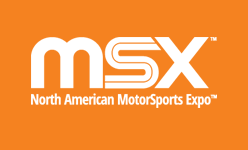 On Thursday we're headed to Charlotte, North Carolina for the SCCA National Convention and the MSX North American Motorsports Expo. Like in past years, we'll be giving a couple of training sessions (Marketing Your Events and a MotorsportReg Update Session- check the calendar for details), mingling with customers and providing in-person support. And with the new MSX Expo associated with the Convention, this year we'll be exhibiting a booth to show off our new product RaceHero (more about that next week). Thursday we're headed to Toronto for our second visit to the Canadian Motorsport Expo. 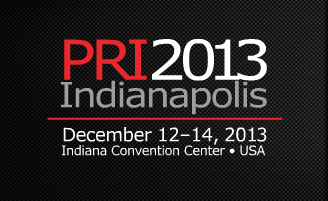 We'll be showing off our new product RaceHero along side MotorsportReg.com, as well as catching up with customers. Some great car clubs like Canadian Automobile Sports Club- Ontario Region and the Vintage Automobile Racing Association of Canada will be exhibiting as well as the race organizers from Targa Newfoundland. And if you're into NASCAR, the King himself, Richard Petty, will be making an appearance. Beginning today, the BMW Car Club of America is holding their annual Oktoberfest at Mazda Raceway Laguna Seca. This 5-day extravaganza includes driving events such as car control clinics, driving schools, and autocrosses, as well as social events including BBQ's, wine tasting and a casino night. I've instructed with the Golden Gate Chapter in the past and jumped at the chance to instruct during the HPDE event at Oktoberfest. Many of our customers are BMW CCA regions and this will be a great opportunity for me to meet our newer customers and reconnect with our older ones. And let's face it, it's hard to pass up the chance to drive Laguna Seca. 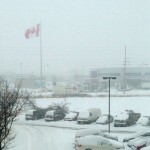 Our first trip to Canada to participate in the Canadian Motorsport Expo got off to a rough start. Who knew we were flying into the worst snow storm Toronto has seen in five years? 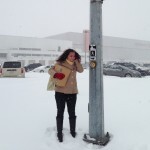 With 12 inches of snow on the ground and no cabs in sight, trying to get to the show from our hotel was a challenge. But after a slipperty shuttle ride, a two block hike in the historic snow storm, and a bus ride later, we finally arrived. The Canadian Motorsport Expo is really geared more towards race fans and enthusiasts, especially for NASCAR and dirt tracks. In fact Kyle Busch and Michael Waltrip both showed up to screaming fans. But there were a few road racers out there in the crowd. 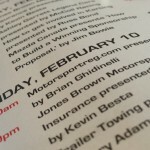 Our main objective was to introduce MotorsportReg.com to Canada and get to know some of our fellow exhibitors. We were successful on both ends. Between Brian’s presentation on “How to Rule the Web” and our prime booth location between the Canadian Automobile Sports Clubs- Ontario Region and the Vintage Automobile Racing Association of Canada, we met some great people and quickly learned that road racing is alive and well in Canada. We also had the pleasure of meeting one of our Canadian customers face to face. Harald from MBCA- Toronto stopped by to say hi and talk about some exciting events his section is working on for this year. And we were happy to learn that a lot of the racers we met had previously used MSR to register for events just over the border in the US. So we’re very excited to finally bring the full MSR organizer functionalities (including Canadian dollar processing!) to Canada. As part of our big Canadian launch this year, we’re hitting the road this weekend with our first official MSR trip to Canada! Friday, Saturday and Sunday the International Centre in Toronto is hosting Canada’s ultimate racing show, the Canadian Motorsports Expo. You can find us in booth #314, directly across from Canadian Automobile Sports Club- Ontario Region. We’d love to meet you so stop on by. We’ll be giving demos, talking to drivers and race fans and soaking up the Canadian motorsport culture. Also, MSR founder Brian Ghidinelli will be giving his always popular presentation, “How to Rule the Internet- Web & Social Media for Drivers, Car Clubs and Businesses.” You’re guaranteed to pick up a few tips to improve your program from this presentation. Check the CME schedule for exact time and location. So if you’re in the Toronto area, come by and say hi!